Oakbay wanted ANC to exert pressure on banks: Mantashe - SABC News - Breaking news, special reports, world, business, sport coverage of all South African current events. Africa's news leader. 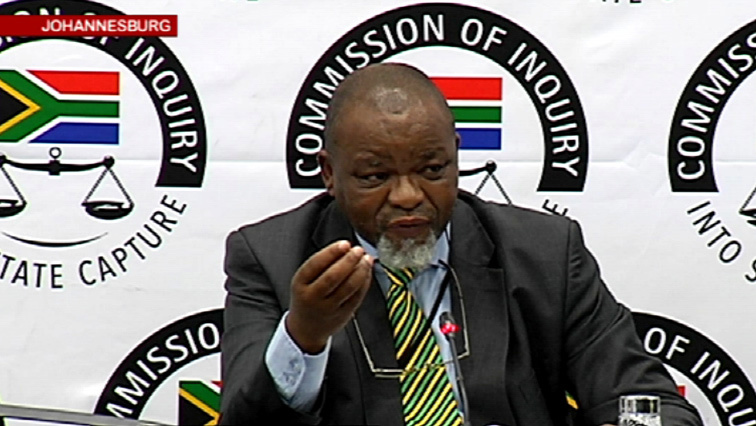 ANC National Chairperson Gwede Mantashe is testifying before the State Capture Commission of Inquiry. African National Congress (ANC) National Chairperson Gwede Mantashe has told the Commission of Inquiry into State Capture in Parktown, Johannesburg, that Gupta owned company Oakbay Investments met with the governing party to persuade them to exert pressure on the banks to reopen the company’s accounts. Mantashe was previously implicated in the evidence of the country’s four major banks, after they were called to a meeting at the party’s headquarters at Luthuli House following the closure of the Gupta family’s bank accounts. Mantashe says the party met with Oakbay on two occasions, and they said they were concerned about job losses if the bank accounts remained closed. He is continuing to testify before the Commission of Inquiry into State Capture in Parktown, Johannesburg following a lunch break. Earlier, he said that the party would present its evidence in four parts, but would only deal with the banks on Tuesday. Former Deputy Finance Minister Mcebisi Jonas, former ANC Member of Parliament Vytjie Mentor as well as former Public Enterprises Minister Barbara Hogan have implicated Mantashe in their evidence. Mantashe, who is the former ANC Secretary-General, says South Africans should protect the commission at all costs. This entry was posted on 27 Nov 2018,03:26PM at 3:26 PM and is filed under Politics. You can follow any responses to this entry through the RSS 2.0 feed. Both comments and pings are currently closed.